Business cards are one of the timeless yet effective tools to introduce your brand. You need to make them as professional and look credible as possible to create a good, lasting impression to your potential market. 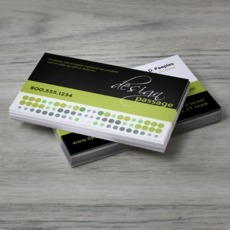 Most people think that the key to an effective business card is by spending much on producing. However, that is not always the case. There are always affordable ways to make your business cards still competitive like those expensive ones. 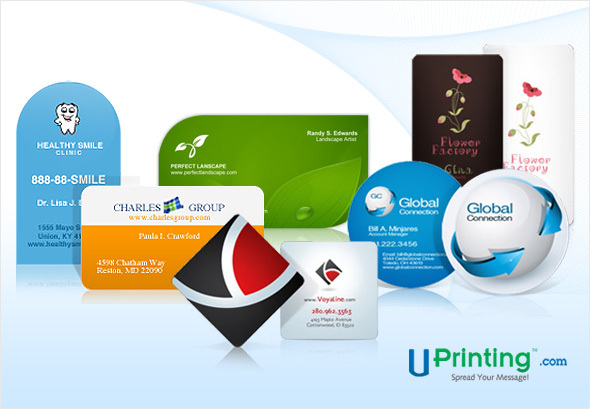 UPrinting offers cheap business cards printed in high quality. We also offer additional services to help you stick to your budget. Check out this short list and learn more. Easy Design Tool. Our easy design tool allows you to create your own design in our website for free. This also includes a library of stock images that you can use for your design. You can even ask for help via live chat for questions and concerns. Free File Review. Here at UPrinting, we make sure that your designs are print-ready even before you place an order. We see to it that you get the best printing experience and we start by offering a file review for free. A PDF proof will be sent to you once one of our prepress specialists have checked your design. Cardstock Quality. Business cards are meant to create a good impression to your potential clients and networks, and so we make sure that you print your business cards on durable cardstocks. We offer 12pt to 17pt cardstocks for your business needs. You can also choose among uncoated, matte, gloss and high gloss (UV) finish for your prints for added durability and more professional look. Bulk Printing. Get more for less by printing business cards in bulk. You can take advantage of wholesale printing since the price per piece drops as the number of your order goes up, so you can save more! Printing Quotes. Get instant printing quotes for your order as soon as you navigate our calculator with your preferences. UPrinting's in-page calculator gives you an almost exact price estimate for your job order. Having an effective business card doesn’t mean you always have to spend much. You just have to be creative and resourceful enough and make the most out of what you can utilize. Quality business cards at affordable rates are still the best deal! For more questions and concerns about business card printing, feel free to contact us at 1.888.888.4211 and one of our customer service representatives will be happy to assist you!